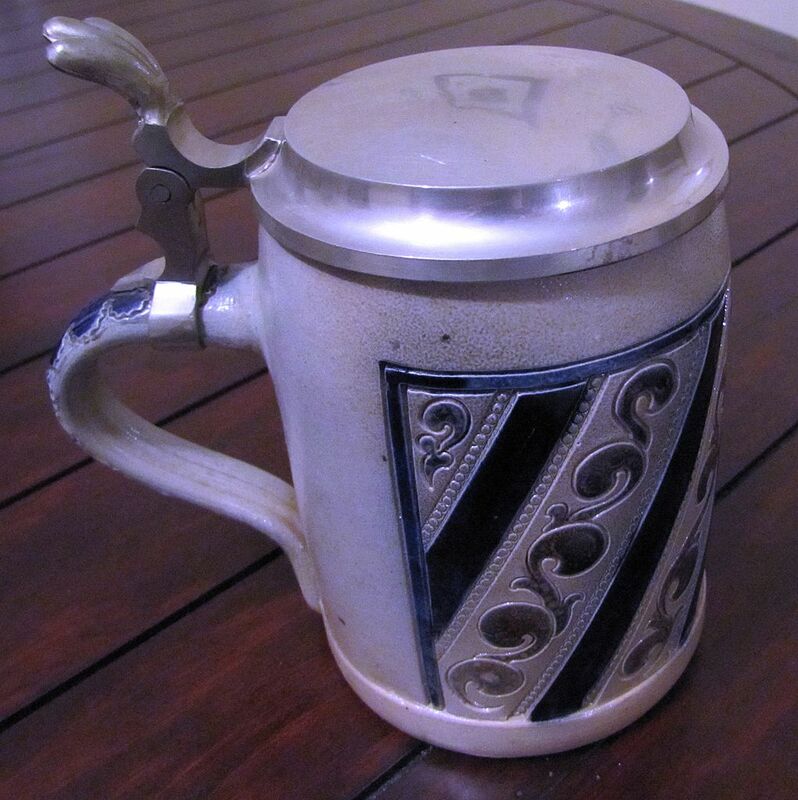 Very nice, vintage, Reinhold Merkelbach salt glazed beer stein. 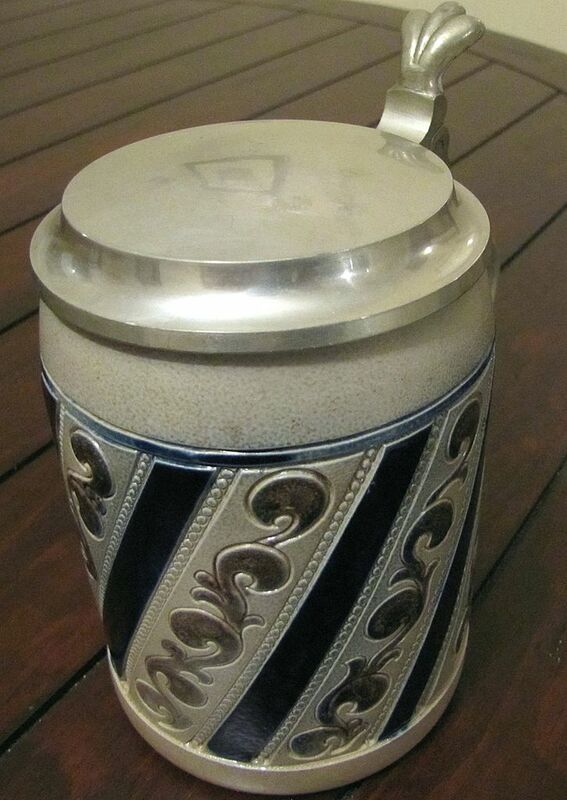 The stein has a great carved design and has been painted with cobalt blue decoration and a mottled blue gray decoration. 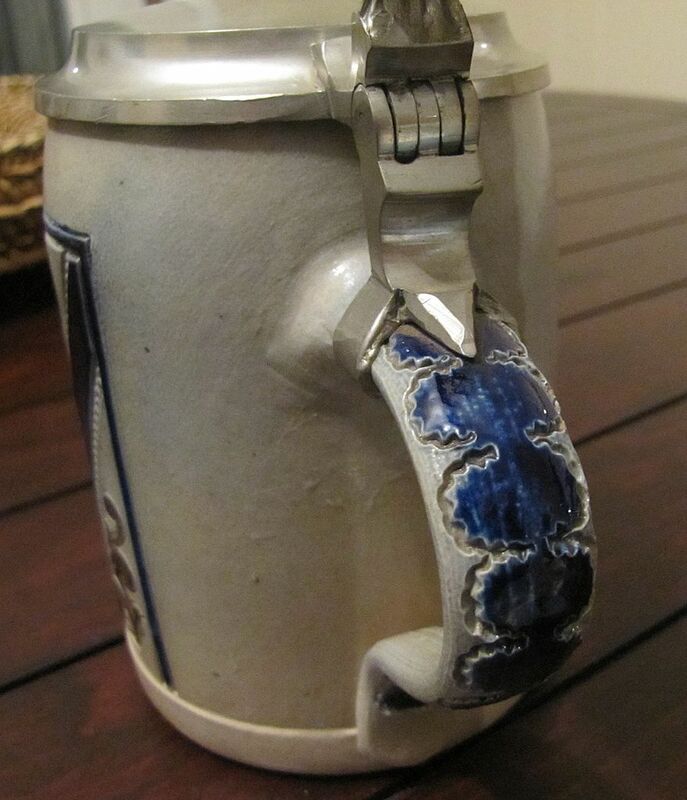 It has a 5 ring hinge with a pewter top. 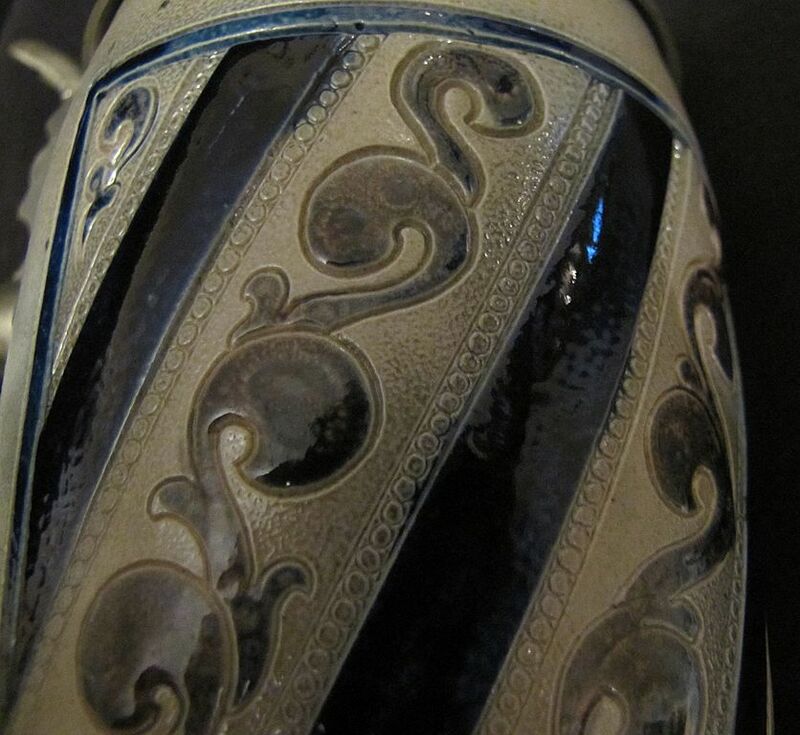 The handle has also beencarved and painted. 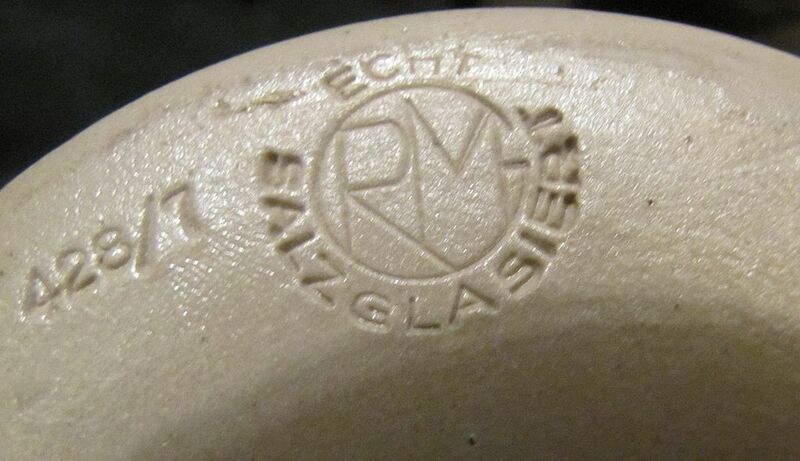 The bottom is incised with RM in a circle with letters above the circle which appear to be Echt, also incised with 428/7 Salt Glaziers and Made inWestern Germany. The stein is 6" in height to the top of the handle and is in good condition.